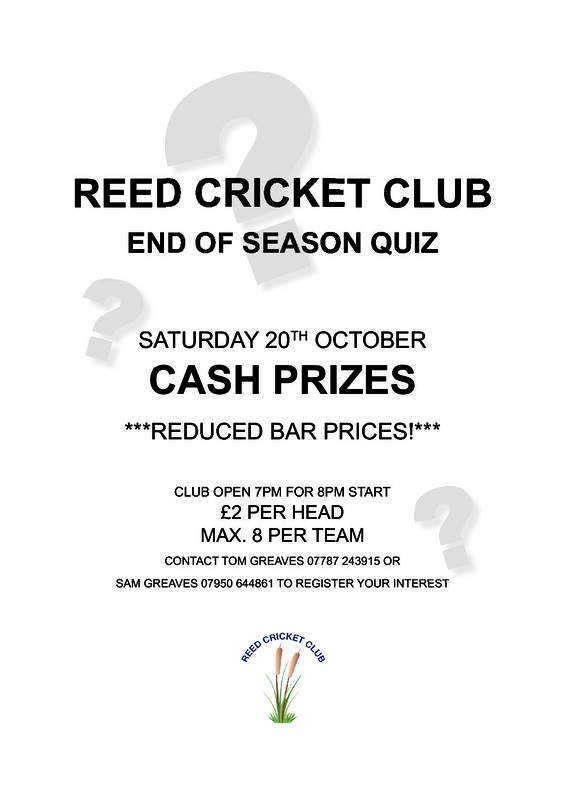 Reed Cricket Club Members, Below is information about an event in which you might be interested. This is not a Reed CC event, but as cricket enthusiasts you might wish to know about it. Do not try to book a place through me. Book direct at mikebrearley.eventbrite.co.uk, or by ‘phoning Heffers Bookshop on 01223 463200 or in person at Heffers Bookshop, 20, Trinity Street, Cambridge, CB2 1TY. PGB ************************************************************************* Friday 19th October, 12.30pm at the Queen’s Building, Emmanuel College: An Hour with Mike Brearley. Calling all cricket fans! 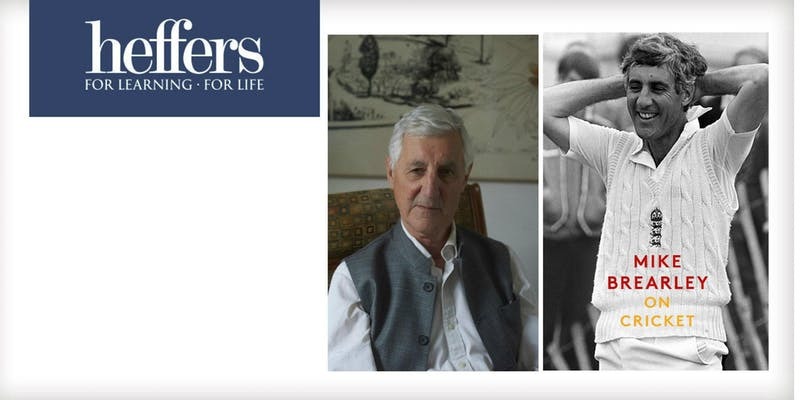 Legendary England captain Mike Brearley is returning to Cambridge - and Heffers invites you to spend an hour in his company. Mike Brearley OBE was educated at Cambridge, reading Classics and Moral Sciences. He captained England from 1977 to 1980 and was recalled to the captaincy in 1981 for the Ashes Home series - one of their most famous victories. Since retiring from cricket he trained as a psychoanalyst, and is a lecturer on leadership and motivation. He is the author of the best-selling The Art of Captaincy, and has written on cricket and the psychology of sport for the Observer and The Times. In his new collection of essays, On Cricket, Brearley has gone through pieces he has written over the past four decades, elaborating on many of them, cutting or adding, according to his second thoughts presenting to the reader something that is more holistic, more synoptic, from distance and old age. Tickets for the event are priced at £8 in advance or £10 on the door and can be purchased through mikebrearley.eventbrite.co.uk, by calling 01223 463200 or in person at Heffers bookshop. Averages; All Teams, 2018. Scroll downwards to find the particular team’s batting, bowling and fielding data. At the top you will see the 1st XI Combined Averages for all the Herts League, National Village Cup and Friendly matches. Next, the 1st XI Herts League games only and further down the 1st XI Village Cup match. Statistics for the Second XI come below that followed by those of the Third XI. Then lastly, the Sunday Friendly matches. Saturday 20th October 7:00 p.m. for a prompt 8:00 p.m. start. Yes, another one! 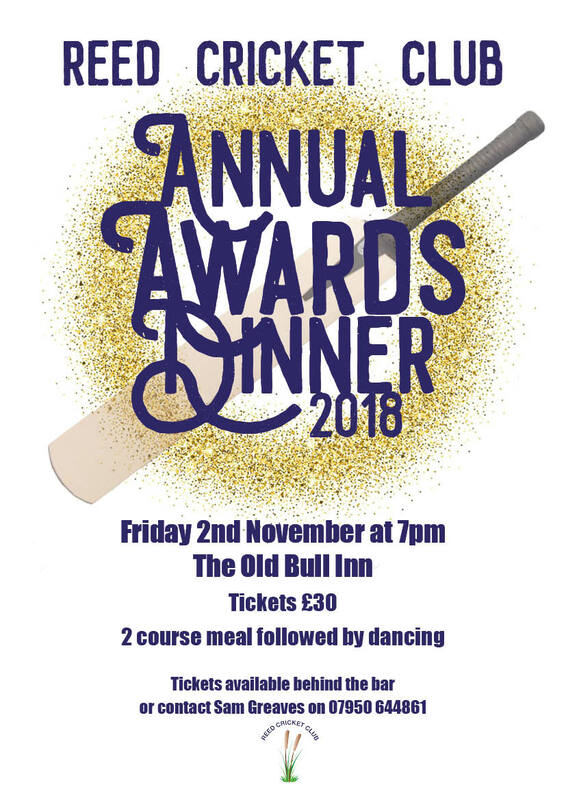 This time it will be the “End of Season Clearance Quiz” and prices at the bar will be reduced on many items, for example, draught beer and lager at £3 a pint, Prosecco £10 a bottle, wine at £8 a bottle, bottled bitter and Magner’s cider for £3 each. Captain Morgan’s spiced rum will also be available. Book early - ring Sam on 07950 644681 or Tom on 07787 243915. Reed Firsts completed their league programme with a last over victory against old rivals Langleybury. Their 3 wicket win condemned the hosts to relegation from the Championship. Lacking the usual seam attack with even Ed Wharton playing as a batsman through an elbow injury, Reed started well, Jack Caine (7-2-20-2) bowling both of Langleybury's experienced openers and Matt Giblin could have had them 10-3 if a sharp chance in the slips had been pouched. However, Richard Oxley (58) and Danny Walker (76) passed the 100 mark until Sean Tidey broke the partnership. It was the occasional bowler Stuart Smith who did the most damage though, finishing with 4-50 and with Giblin claiming two late wickets Langleybury's innings closed on 232-9. Rob Lankester (20) and Ed Wharton (45) began the run chase, but it was a 50 partnership between Richard Barlow (33) and Marcus Martin which turned the game Reed's way. Langleybury skipper Oxley desperately alternated 8 bowlers to try to stem the tide of runs, but Martin (68 not out) well supported by Tom Greaves (16) and Jack Caine (15 not out) inexorably reduced the deficit until the latter drove a boundary to win the match by 3 wickets with 4 balls remaining. A welcome victory for Reed to end an up-and-down season, but a sad week for Langleybury, who lost both their long-standing President, Gordon Riddick, and their battle against relegation. Match Report submitted by Peter Wholley. Although Reed 1st XI lost to Hoddesdon by 55 runs, more worrying was the score in the other relegation battles and when Langleybury lost by 1 wicket in the penultimate over, a collective sigh of relief was heard around the pavilion. As a result Reed will continue playing in the Championship again next year, leaving Langleybury, Flitwick and Sawbridgeworth to fight for survival next week in the final round of matches. 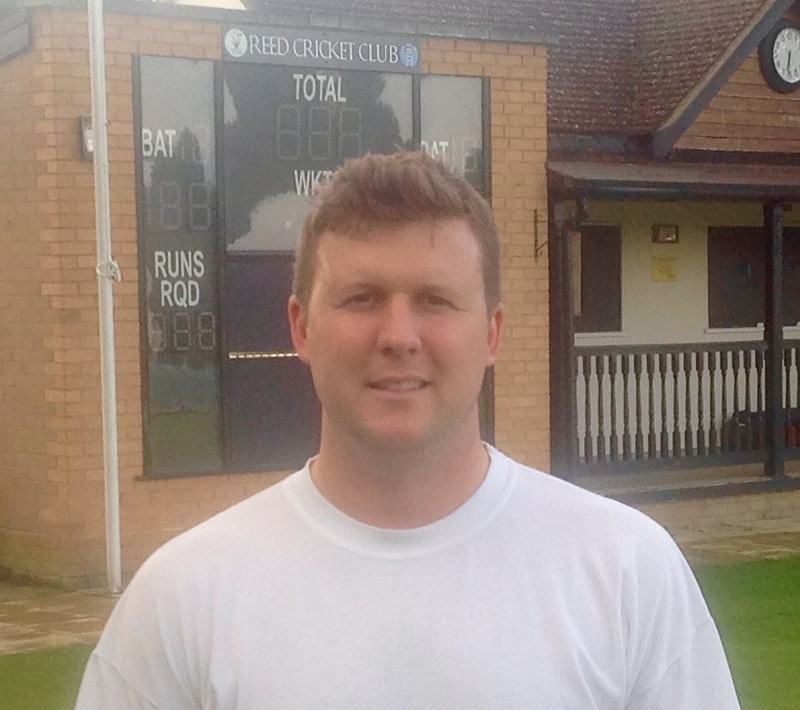 Reed’s game was dominated by two unbeaten tons: 102 by the visitors' Ross Clarke and 123 by Matt Sampson. The latter, however, was crucial to Reed’s total of 222 as Rob Lankester’s 22 was the next highest score in their innings. Once again Reed’s attack struggled to bowl out the opposition, although the spin of Sean Tidey (2-50) and Matt Bowles (2-63) accounted for 4 of the six wickets to fall. In addition, Tom Greaves bowled a very tight spell, conceding just 21 runs from his 10 overs. Although Sampson’s knock was chanceless until he reached 99, he spooned a high chance to mid-off, but the on-rushing fielder dropped it and he scampered through for his century to a standing ovation from the Reed faithful as he celebrated his second ton this season. Match Report submitted by Peter Wholley.